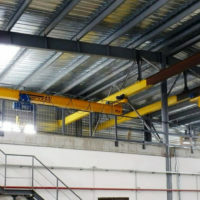 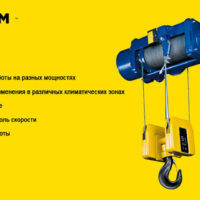 A well-known Ukrainian manufacturer of fuel pellets purchased at the «Kyiv Crane Machinery Plant LLC» a 2-speed electric wire rope hoist of the MT type in an explosion-proof version manufactured by Podem (Bulgaria). 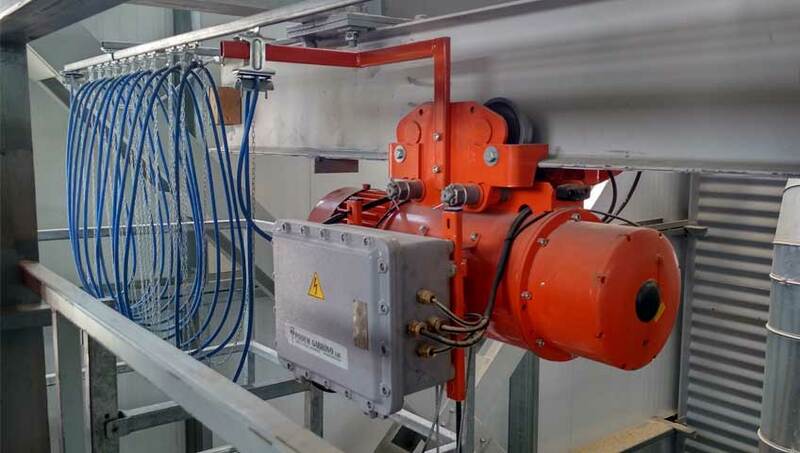 Electrotal was necessary for the Customer to service the new press unit on the line for the production of pellets from pine and oak chips. 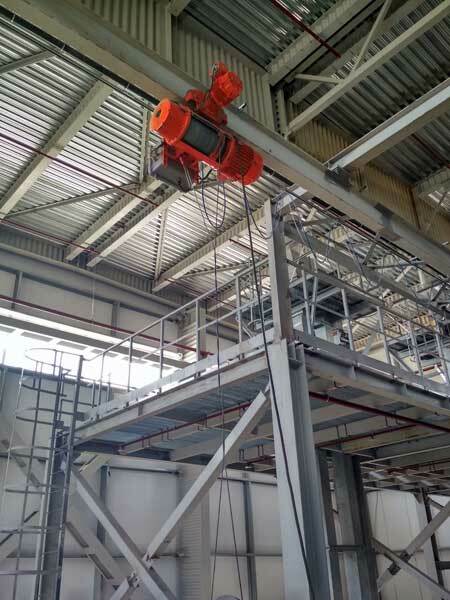 Together with the hoist, a special set of electric cable and busbar supply systems L = 20 m of the Festoon type was also supplied, as well as a remote control panel. 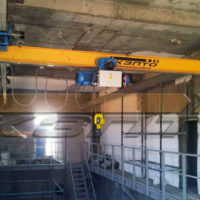 operating mode group according to ISO or GOST - A5 (medium). 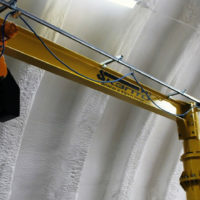 All delivered equipment was delivered to the place of operation and installed for several days, after which static and dynamic tests were carried out. 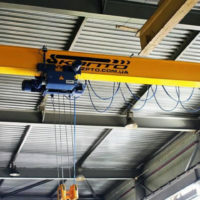 At the final stage, the Customer’s representatives were given a package of necessary technical and permits documentation in accordance with the current Rules on labor protection during the operation of cranes. 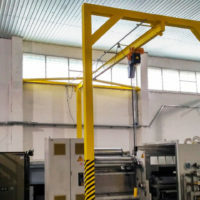 Currently, the hoist is successfully operated in conjunction with a new press. 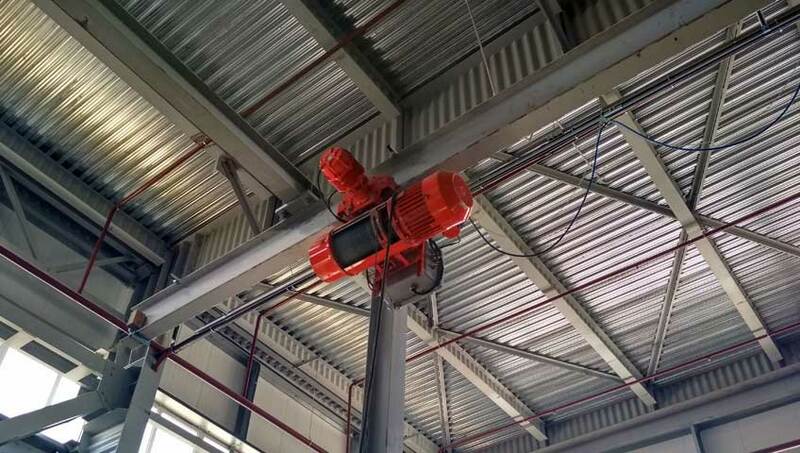 Such modernization allowed the producers of solid fuel pellets to significantly increase their production, which is very positive impact on the fuel and energy market of our country.